Dallas : Nearly 95 million years ago there was a species of crocodiles that used to feast on dinosaurs, finds new research. The scientists have found the fossil bones in the heart of the Dallas-Fort Worth Metroplex. 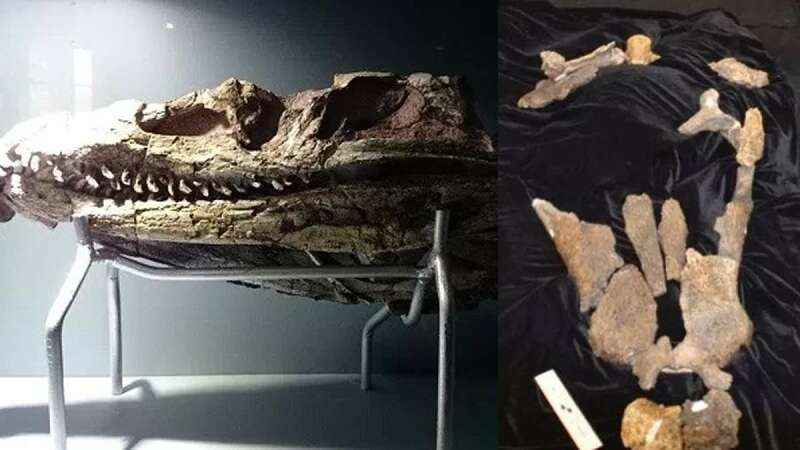 Dubbed the Deltasuchus motherali, the fossils of new species of crocodile was found by a local teenager, Austin Motheral. He works with paleontoligists from the University of Tennessee at Knoxville, who spent a decade excavating the bones. On the basis of bite marks discovered on the fossilized bones of prey animals, it has been observed that they used to eat almost anything they wanted from the environment, including turtles and dinosaurs. Deltasuchus motherali has been named after Austin Motheral who first uncovered the fossils of this particular crocodile with a small tractor when he was just 15 years old.